At Nautique Sports we charge by the boat and hours, not per person. During that time you can try as many different activities as you like. Have a go at any of the activities below during your boat charter - just let us know before we set off so we can bring the right equipment! This boat can be fitted with a boom on the side of the boat to aid with learning. The boom provides a more stable base to support/pull the rider. It also means the rider is right next to the boat so can more easily take on board instructions. Pickup in the Grace Bay area included in price. Either by boat or vehicle dependent on conditions. 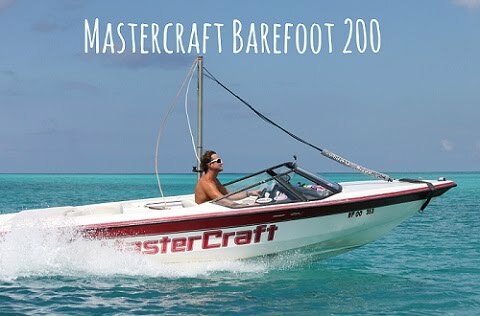 Best for beginner waterski and barefoot lessons. 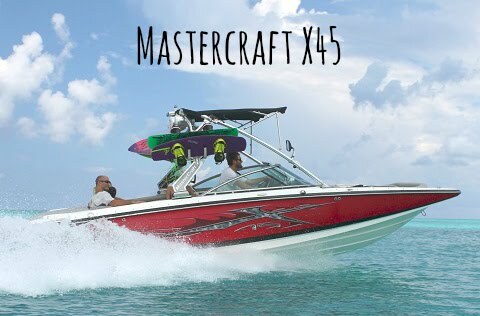 These boats are bigger and the hulls have been designed in such a way as to create a large wake that can be used for wakesurfing or perfecting your jumps on wakeboard or waterskis. Best for bigger groups and experienced wakeboarders.